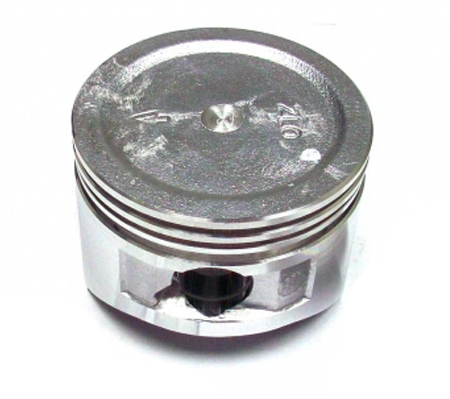 Standard, stock size dished piston (70mm -or- 2.756") for the old style non "hemi" head Harbor Freight Predator 212cc engine. This is an "EPA3" piston that uses the .038" thick rings part number ADJ-1290P. Older Predator engines that are "EPA2" use rings that are .058" thick.